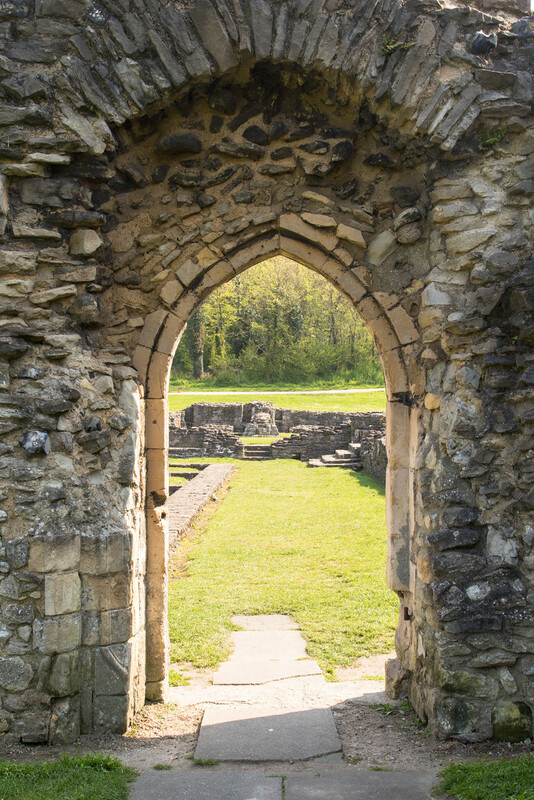 This is Lesnes Abbey, in south-east London. Set in secluded woodlands amongst the hustle and bustle of south-east London suburbia, it is a scheduled ancient monument and gives us a little peek into life in 12th century Britain. Here you see the door into the cloister. The foundations and lower walls of most of the remaining structure survive and from this you get a sense of the size; it must have dominated the neighbourhood and been visible for some miles around. The Abbey was founded by Richard de Luci, Chief Justiciar of England, in 1178. It is speculated this may have been in penance for the murder of Thomas Becket, in which he was involved. The Abbey sits adjacent to the route pilgrims would have used to travel to Canterbury, and it is likely some will have stayed overnight here at Lesnes Abbey on their way to pay homage at Thomas' shrine in Canterbury Cathedral. (Thanks to Wikipedia for much of the above, and also information at the Abbey itself). Love the framing, what a great shot and really interesting information. Beautiful look through the arch. Love places like this and I like to think of those who walked through and touched the stones in what were magnificent buildings. Thank you for the history lesson. Like the forest with the horizontal road separating it from the below. Gives the illusion of a window with a top and bottom section. @onewing @flowerfairyann @lmsa Thanks for your comments. Like many such places, it had a very serene feel to it, in spite of the London madness going on a few hundred metres away. I shall return there more often, I think. Its a wonderful doorway to see through.